Glyph. Kerning. Halbfett. Diacritics. Handgloves. These are the terms which might sound odd to a regular person, but it is nothing out of the ordinary for calligraphers. These are terminologies that one should know in order to perfect their art in calligraphy, coupled with an undying love to put ink to paper and make words dance across blank canvases, and basically, come to life. 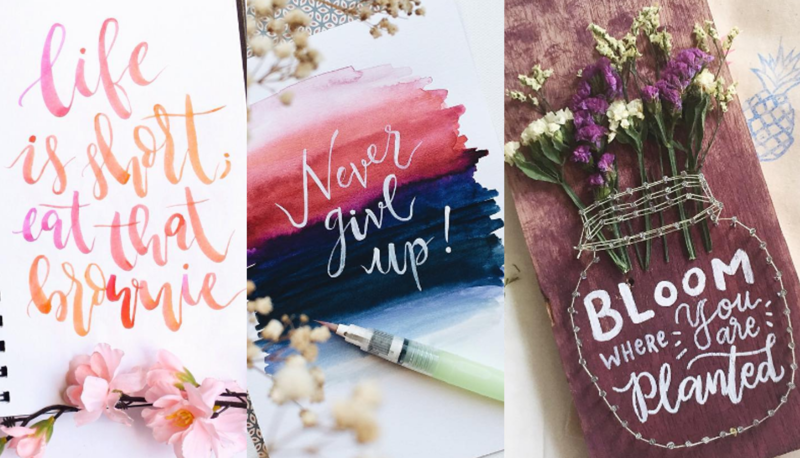 Here are 9 Malaysian calligraphers who spend their free time intricately producing works of art, worthy of many red Insta-hearts. @hezra is what one would call a flatlay goal. 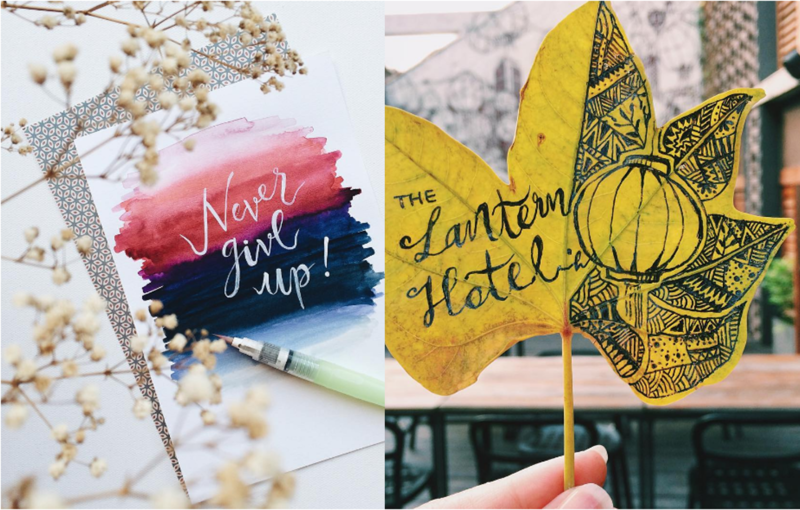 She meticulously stacks design papers together and it creates a stunning backdrop for her to display her drawings and typography. Besides her creations, @hezra is also fond of coffee and posts beautiful shots of her cafe crawls. A quick scroll through @_smarkies_‘s Instagram feed is enough to help one to calm down and I have a sneaky suspicion that it has to do with the artists’ use of white space. Where some calligraphy artistes tend to draw too much on a single sheet of paper and overcrowd the shot with too much details, @_smarkies_ knows that simplicity is king. @puiyeekong sticks to a plain ol’ notebook alone when photographing her recent calligraphy shots. Flowers, food, and other forms of excessive and unnecessary decor are the usual staples when it comes to displaying one’s typography. It becomes a race to see who can decorate their Instagram pictures the prettiest instead of a display of talents, and one thing that @puiyeekong demonstrates, is that she is not about that life and sticks to the concept of ‘less is more’. “When the babies are sleepin it’s time to play with nibs, chalks & watercolor!” is how @helloglooomi described her Instagram profile. 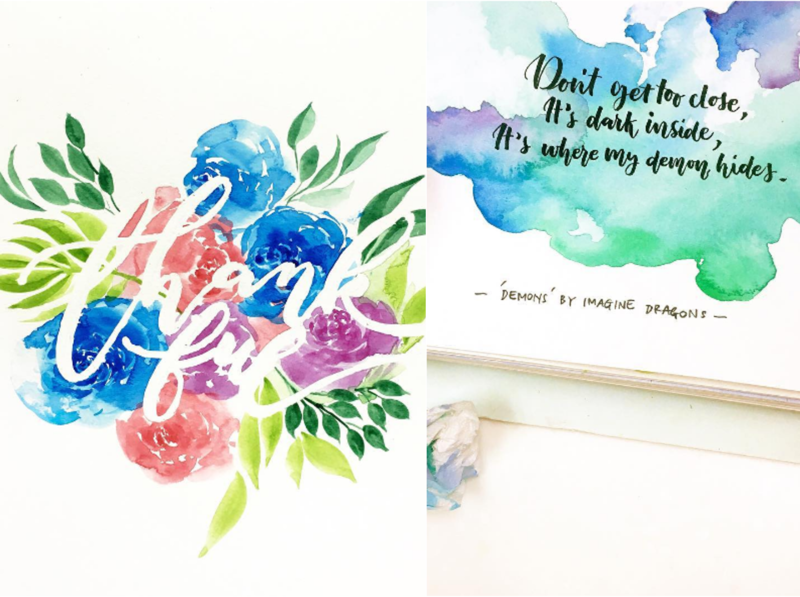 The Malaysian mother finds time to work on her passions alongside juggling motherhood, and some of her pieces are crafted in the magic 2-3 hour time frame when the kids are dozing off. @gladysstories does not only create pieces of art with her free time, she also teaches classes and workshops. 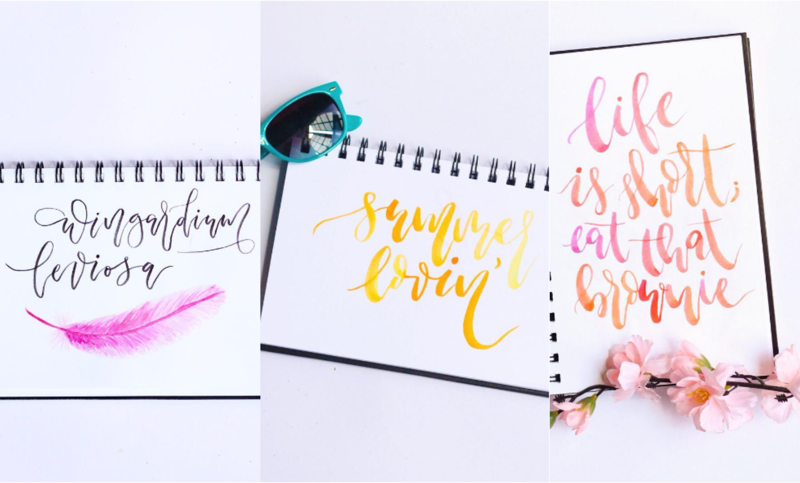 Her username could possibly be derived from the stories she shares alongside her calligraphies. One such story was of how she upped her skills in a mere 4 months and she says she owes it all to practice, practice, practice. 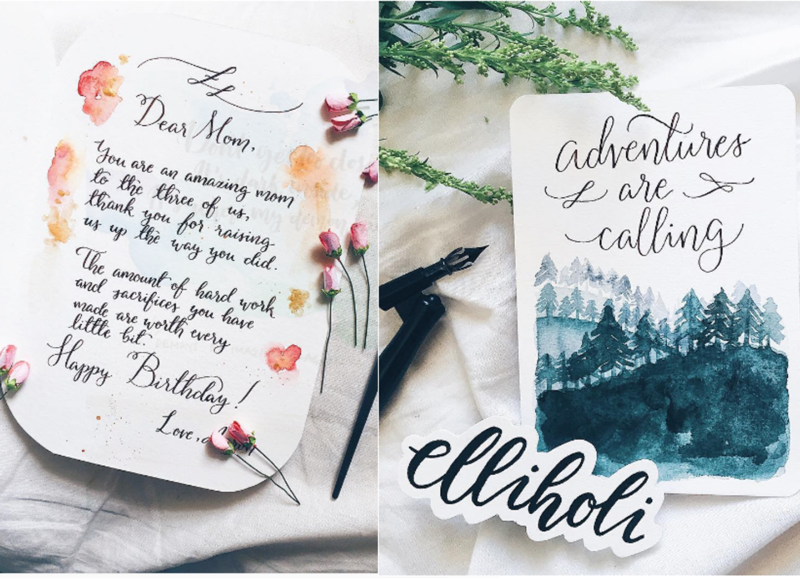 20-year old @elliholi is a self-taught calligraphy artists and produces whimsical pieces which belie her age. Her adorable works displayed across crisp white sheets makes even those who do not particularly enjoy such Instagram images feel inclined to click ‘like’. It is clear to see the amount of effort @elliholi puts into her pieces, and it is rewarded with an average of 200 hearts per posting. When @shazanawrites scribbles without a care against a blank sheet of paper, it is hard not to feel the therapeutic vibes given off with each stroke. And that’s just a basic piece. 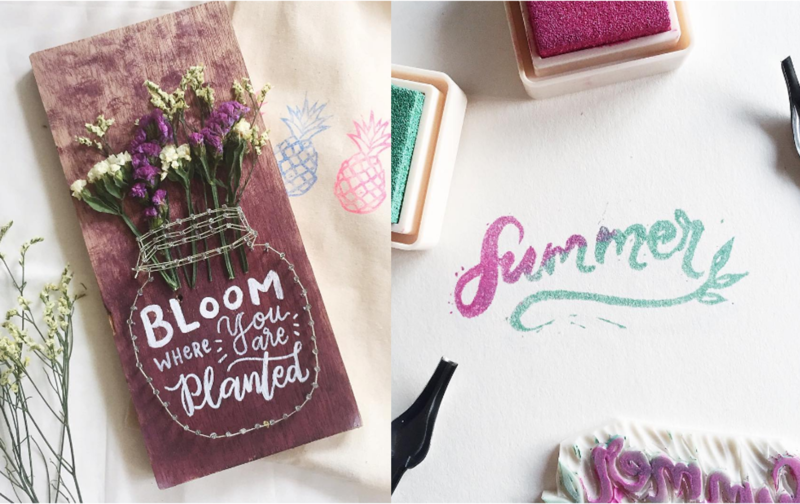 She also creates intricate calligraphy pieces further decorated with drawings of flowers, leaves, and birds among other things. Back to basics is one way to describe @lettersofthelaw. He keeps things simple, sometimes even producing single alphabet pieces or seemingly random words like Oculus Reparo, which means the repairing of spectacles. @lindamylee‘s account displays her carefree attitude to life, and among her calligraphy pieces are shots of her outfits, her bear toast and chicken rice. She also predominantly posts images which evokes the flatlay appeal, and she does it seamlessly. 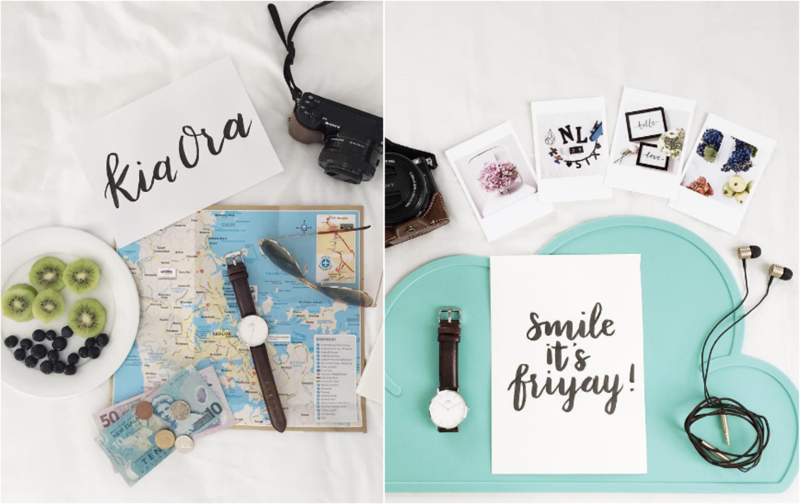 Her pieces are generally done with a black ink and it is this simplicity that allows her shots to stand out, with her calligraphy being the centre piece.